Russell White - Triathlete: A few Questions. I was asked to fill this Questionnaire for Triathlon Ireland and I thought it would make a interesting blog to give you a bit of an insight into my life and my triathlon. I will be racing Scottish National XC Champs on Saturday so I will hopefully have another blog up after that. Sporting hero: Jamaican Bobsleigh Team, determination to do what everyone told them they couldn’t. Favourite quote: Do not go where the path may lead, go where there is no path and leave a trail. Nickname: Went through school without ever having a nickname but since coming to Stirling and training with the Scottish squad I have recently been called ‘Paddy’. Favourite music: Wombats and Snow Patrol is what I have been listening to a lot recently. 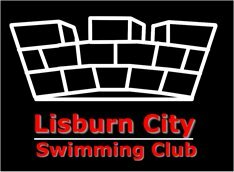 How I got started in Triathlon: Have always been a swimmer, and tried the Newtownabbey Triathlon for fun; came 1st Junior and 9th overall, thought I might enjoy the change and decided to attend the next Triathlon Ireland Talent ID Day. 2. What are your aspirations in the sport? To Compete at the higest level in our sport and challenge the best in the world. Competing in Commonwealth Games, Olympic games and World Series. 3. Strangest place you’ve ever swam? Jelly fish infested waters in Aguilas. 5. What's the toughest training session you do? A challenging set that I would also consider my favorite and extremely beneficial is 10x400 fc. 6. Favourite part of training? The freedom of some sessions, no particular a discipline. 7. What do you do in your down time? Relax and make the most of it, a chance to catch up with family and friends. 1. What are your thoughts when standing on the start pontoon? I tend to zone out, not intentionally but it comes naturally. 3. What was your most memorable race and why? London Junior Elite Triathlon, my 1st elite win, everything clicked and I felt so strong, crossing the line knowing I had won was an amazing feeling. 4. What is the most unusual thing that happened to you during a triathlon and where was it? Tizijauvaros, Hugarian Junior European Cup – I was dismounting as normal with my feet on top of my bike shoes, only when I swung my right leg over my saddle my left shoe unclipped from the pedal and I was thrown over the handle bars landing hard on my head and right shoulder luckily I was able to pick up my bike and run into transition, so didn’t loose too much time, it also got the adrenaline pumping for the run which was a positive. 1. What advice would you give for someone’s first triathlon? Just enjoy it, and be very observant, you will pick up many tips. 3. Who or what is your biggest inspiration? The pursuit of achieving my full potential. 4. What is your prior education or employment? Currently Studying Primary Education at University. 5. Your first ever job? Never had one. 6. Food heaven and food hell? Chocolate heaven, cheese on its own (can only eat cheese melted.) would be hell. 7. What’s on your i-pod? Everything I have the widest range of music possible. 8. Do you have any nicknames and if so why? Went through school without ever having a nickname but since coming to Stirling and training with the Scottish squad I have recently been called ‘Paddy’. 9. Best book you ever read? Of Mice and Men. 10. Technophobe or technogeek? Somewhere inbetween but closer to the Technogeek end of the spectrum. 12. What’s your party piece? Can't say I have one. 14. Describe your ideal weekend? Hard Saturday of training followed by a long ride on a Sunday and plenty of DVD’s inbetween. 15. Who has helped you to get to where you are today? Family. 16. You can start out in triathlon at a relatively lost cost but at the highest level things get a little more expensive. What’s your must prized piece of kit? I love my Oakley radars.